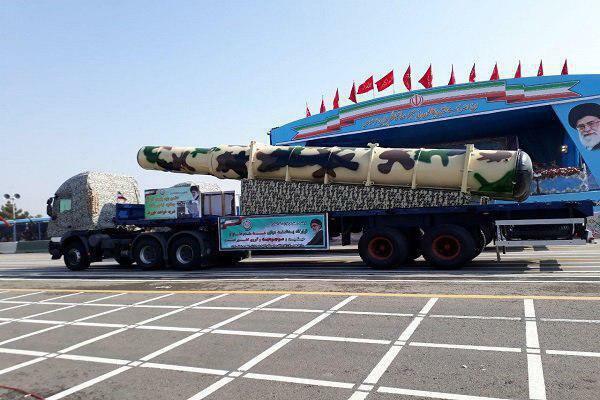 The Iranian Army has put on display a new home-grown missile system named “Kamin-II” during its annual parade marking the National Army Day in Tehran on Wednesday. The new system, called Kamin-2 (Ambush-II), is an upgraded version of Mersad missile system. The system is designed to confront with a variety of aerial targets flying at low altitudes, particularly drones, according to a Farsi report by Mehr News Agency. The Tehran ceremony was held at the mausoleum of the late founder of the Islamic Republic, Ayatollah Ruhollah Khomeini, south of the capital. Among other equipment showcased in Tehran were various types of command and control systems, radars, missiles and launchers, tanks, armoured vehicles, rifles, unmanned aircraft, artillery gear and ground combat weapons. The Tehran ceremony was participated by President Hassan Rouhani, Chief of Staff of the Iranian Armed Forces Major General Mohammad Hossein Baqeri and other senior military and government officials as well as foreign diplomats, military attaches and reporters. The annual parades were also held by the Iranian army in other Iranians cities on Wednesday.